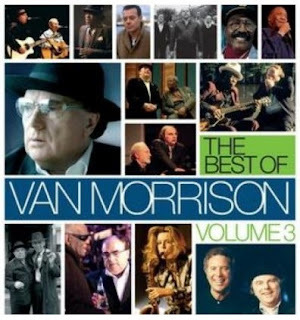 If your interest in Van Morrison’s latter-day recordings runs deep enough that The Best of Van Morrison, Volume 3 initially seems worthwhile, chances are you already own most of the albums from which these songs originated. While Morrison’s first two “best of” volumes compiled essential hits and vital album cuts spanning his career to date, this third installment gathers an arbitrary hodgepodge of songs dating back to only 1993. Dedicated listeners will instinctively take issue with the subjective song selection while casual fans will get an impression of Morrison’s contemporary music that may not be altogether accurate. The major flaw with this compilation is that it illustrates Morrison’s every artistic whim of the last fourteen years (of which there are several), and, in doing so, it fails to yield a concentrated focus. Nearly half of this set consists of collaborations with other artists, which contributes to the set’s overall inconsistency. Some of these songs are remakes of Morrison classics, like “Moondance” and “Tupelo Honey,” while others are one-off performances that sound more like indifferent diversions rather than sincere artistic efforts. There are exceptions, of course. “Sitting On Top Of The World,” the blues staple made famous by Howlin’ Wolf and, later, by Cream, delivers a thumping rockabilly groove with Morrison wailing with the late Carl Perkins. “Shenandoah,” a collaboration with the Chieftains, sounds like an angelic Irish hymn, with its lush orchestration and vocal choir. And, “Crazy Love,” a live duet with Ray Charles at the 2003 Songwriters Hall of Fame induction ceremony, is perhaps the only instance on this collection when Morrison gets vocally upstaged. In one of his final live appearances, Charles put the Genius treatment on one of Morrison’s most tender songs, making this a truly iconic performance. Incidentally, this version is also included on Charles’ posthumous album, Genius Loves Company. On his own, yet surely inspired by Brother Ray, Morrison sings a moving rendition of “Georgia On My Mind,” adding his own inimitable vocal runs and howls to the hum of a church organ. Other highlights of the solo selections include the poignant “When The Leaves Come Falling Down” and the heartening “Days Like This”. The inclusion of “The Healing Game,” a moving gospel song of redemption (from the album of the same name), makes one question the omission of other gems from that record, like “Rough God Goes Riding” or “Fire In The Belly”. Be that as it may, Van Morrison still possesses one of the most soulful voices in music. “Stranded,” from 2006’s Magic Time, proves it. Had it been included here, “Just Like Greta,” from the same album, would have served equal, if not further, confirmation. Certainly, Morrison’s talent does not come into question with this compilation. Rather, the random song selection and excessive duets give listeners an uneven impression of that talent. On the whole, casual fans would have been better served by a single-disc compilation (like its two predecessors), excluding most of the duets and including more representative album cuts. Devoted listeners, conversely, and in all likelihood, own the necessary, original, and essential Van Morrison recordings already.